– Learn to Row – Junior – Elite – Recreational – Veterans/Masters. New members are welcome to the club. Simply contact us or visit the boat shed on the first Saturday morning of each month around 7.00 am. Join the club at any time. See the Membership page for details. All Members are required to own a set of suitable lights if they are rowing before sunrise. The club has identified a range of solutions which can be purchased to keep you safe and visible in the dark. It is also a requirement of State Government legislation that you comply with the laws associated with lights on recreational vessels. Details on the boat lights can be found here. New Classes start in March 2019. See the Learn to Row pages for dates, registration, fees etc. Click the link above to watch the video created by the associated organisations to help educate users of the Brisbane River in safely navigating and sharing the river. All B&GPS members will already be aware of these requirements, but this is a visual reminder of the risks associated with rowing, and how they can be minimised if correct procedures are followed while you are rowing on the river. Click here for a link to the GPS Facebook pages of images and other recent material. GPS Rowing Club – Click for Boat Bookings. Once you have had a look at the Google Docs above and determined which boat you would like to book, send your request to boatbookings@brisbanegepsrowing.com.au and the booking request will be applied to the spreadsheet. Any conflicts or other issues will be assessed at the time of booking and you will be advised if the requested boat is not available. 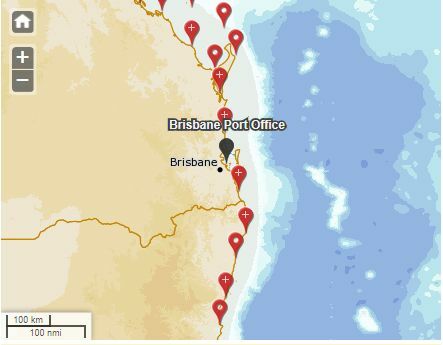 Click here to get the latest tide predictions for the Brisbane Port Office from the BOM. Note that the club pontoon is about 45 minutes later than the tides for the Port Office. So, just add 45 minutes to Port Office times to get close to the tides at GPS pontoon.